Understand those pins functions are fundamental to design projects which allow Raspberry Pi to communicate with sensors and many other devices. 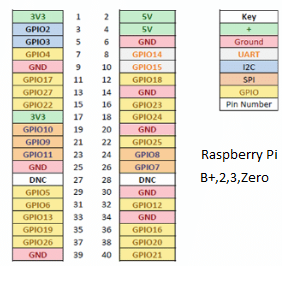 GPIO are your standard pins that simply be used to turn devices on and off. For example, a LED. I2C (Inter-Integrated Circuit) pins allow you to connect and talk to hardware modules that support this protocol (I2C Protocol). This will typically take up 2 pins. UART (Universal asynchronous receiver/transmitter) are the serial pins used to communicate with other devices.